The National Association for the Advancement of Colored People (NAACP) announced on Monday that it would boycott Facebook after a Senate report revealed that Russians exploited social media to stop black voters from heading to the polls to vote in the 2016 election. “NAACP has returned a monetary donation we recently received from Facebook, and we are calling on supporters to log out of Facebook and Instagram on Tuesday, December 18. We implore you, our partners, friends, and supporters to join us. #LogOutFacebook,” the organization tweeted on Monday. A report commissioned by the Senate Intelligence Committee obtained by The New York Times on Monday read that a group known as the Internet Research Agency (IRA) sought to exploit racial divides during the 2016 election and make an impact on Facebook and Instagram. The report stated that at least 30 pages created by the IRA targeting black voters gained 1.2 million followers, The New York Times reported. It also targeted Bernie Sanders supporters and those who were likely to vote for then–Democratic nominee Hillary Clinton. “The most prolific IRA efforts on Facebook and Instagram specifically targeted black American communities and appear to have been focused on developing black audiences and recruiting black Americans as assets," the report obtained by the Times stated. 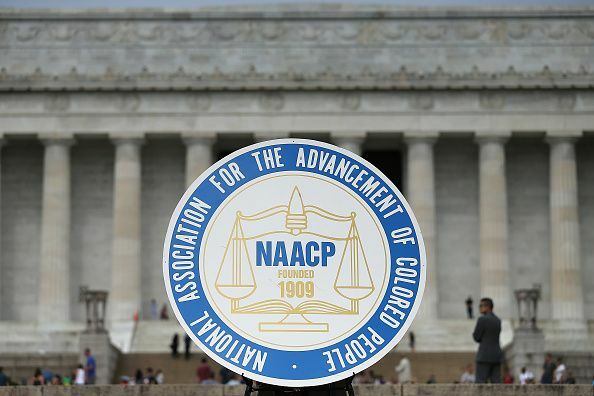 In a statement on Monday, the NAACP called on to Congress to continue investigating Facebook. The civil rights organization said that for more than a year it had “expressed concerns” over data breaches that could have impacted black voters. “Facebook’s engagement with partisan firms, its targeting of political opponents, the spread of misinformation and the utilization of Facebook for propaganda promoting disingenuous portrayals of the African-American community is reprehensible,” said Derrick Johnson, NAACP president and CEO, in a statement. The civil rights organization also said it returned a donation it had just received from Facebook. The NAACP urged its supporters, social media followers and members to join the NAACP in not using Facebook or Instagram for a week in a #LogOut protest starting Tuesday. “The #LogOutFacebook is a protest—a way to signify to Facebook that the data and privacy of its users of color matter more than its corporate interests, and that as the largest social network in the world, it is Facebook’s corporate social responsibility to ensure that people of color are well represented in their workforce and recognize that users of color have a right to be protected propaganda and misinformation,” read the statement from the NAACP.